These beautiful, personalized note cards, featuring a deckled edge, are reminiscent of years gone by. This stationery set is part of our "Special Finish and Vintage Line." Our luxurious paper is a heavy, 92-pound cover stock that has an even heavier feel to it. This paper is heavily embossed with a "torn" bottom edge. This vintage paper will astonish you with its classic beauty. This stationery set makes a great gift for your mother or sister, your brother, your child's teacher, your child's coach, your friend or sister-in-law ... the options are endless! Buy a set for your hair stylist at Christmas or for your boss's birthday. These notecards are perfect to have around to use as "Thank You" cards, "Sympathy" cards or "Get Well Soon" cards. You certainly don't have to put the academic credentials with the individual's name. That's simply your choice. -Available in sets of 10, 20, 30 or 50. Please select the amount in the drop-down menu on the right. 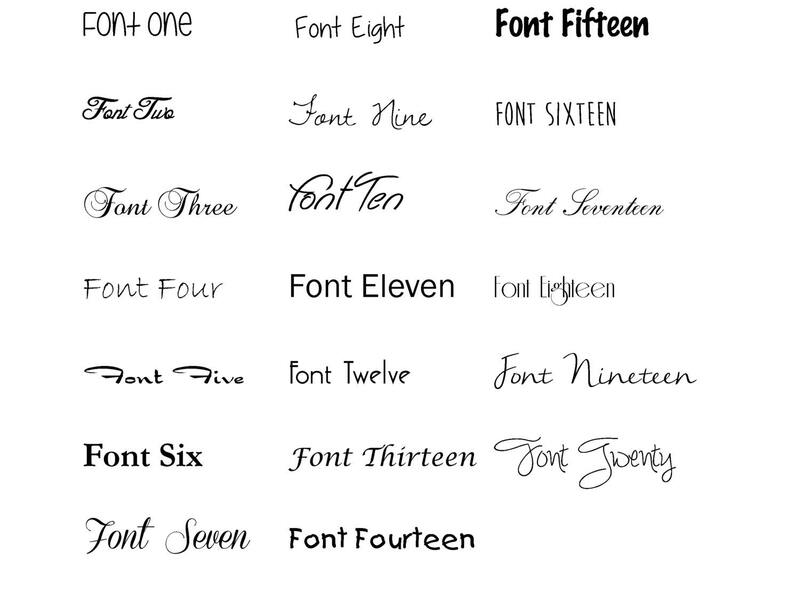 -In the drop-down menu on the right, please choose from one of the 20 fonts we offer. 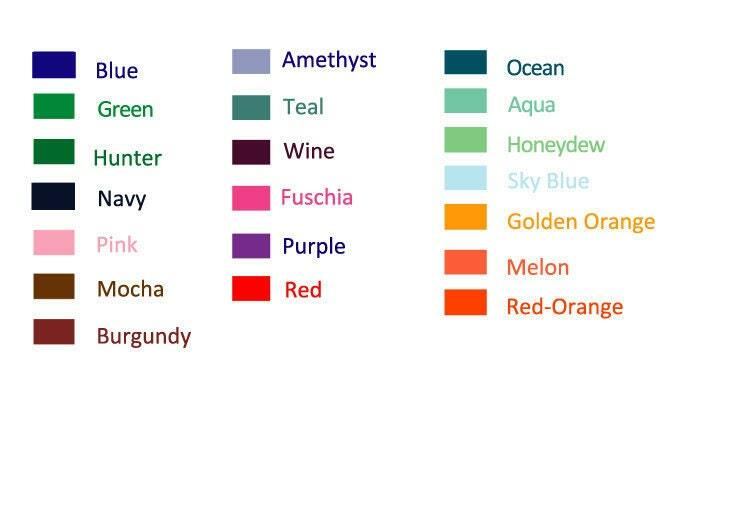 -These are made from 92-pound, cover stock (FSC certified paper) and non-petroleum based inks. The paper is produced in an energy mill in the U.S. powered by renewable energy. -Please provide in "Notes to Seller." You can use a first name only, a full name, the first names of a couple (such as Chris and Mary Washington) or a family's last name (such as "The Washingtons."). It's completely your choice. 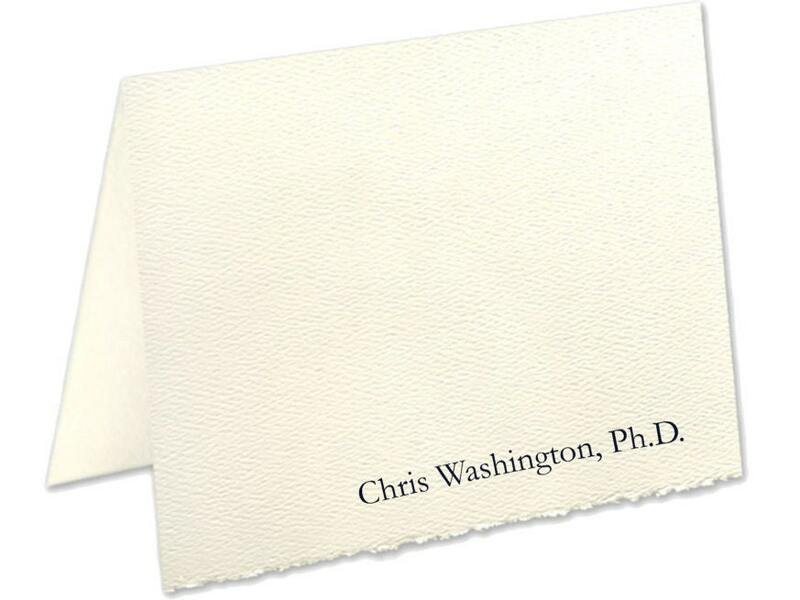 -Our deckled edge paper comes in natural white. -We can print your name and address on the back of the envelopes for a small fee. Please make that selection in the drop-down menu on the right. If you purchase address printing, please provide the name and address in the "Notes to Seller." 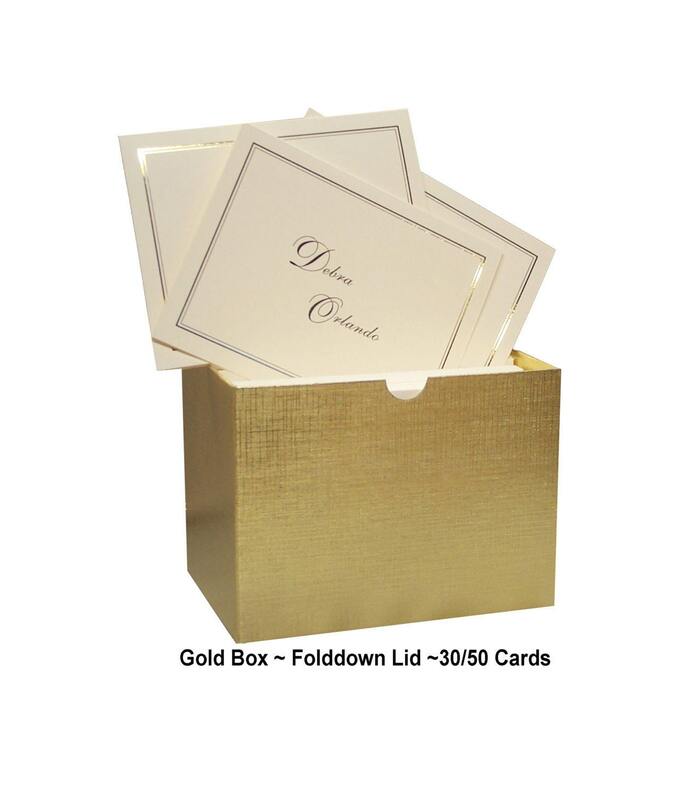 -You choose between a cellophane sleeve (included in price) or upgrade to gift box for a small fee. Please select your choice in the drop-down menu on the right. Shown in the photos is the box when purchasing 30 or 50 cards. To see a photo of a box for card sets of 10 or 20, please convo us and we will email you a photo.